The after school instrumental music program, led by the talented Matthew Powell (classroom music teacher), is available to all 5th and 6th grade students with no previous experience required. Beginning and advanced levels are available for a variety of instruments including flute, clarinet, alto saxophone, trumpet, trombone, and percussion. The program culminates with a performance in the Spring Music Show in May or June. Registration information is sent home in the fall and will be posted on our home page at that time. Please note that this program is separate from the instrumental music program offered through the Evergreen School District. Meeting Time: The 45 minute classes are held weekly on Wednesday, Thursday or Friday. Class times vary depending on the instrument. Cost: There is a nominal fee of $150 for the whole year of lessons. Must have own instrument (instrument rentals are available from most music stores and range between $20-$65/month, depending on the type of instrument). Math Enrichment, in partnership with Silver Oak, offers students in grades 1-6 a safe, educational and fun after school program. Math Enrichment is more than just a math program. This after school program includes supervised homework time, test preparation and help with projects in all subjects followed by skill enrichment opportunities. Parents can purchase educational packages for either a 3 day or 5 day program from 2:15 – 6 p.m. and on minimum days starting at 12:35 p.m. Go to Me After School for registration information or email Math Enrichment at info@mathenrichment.net. Space is limited. Meeting Time: 3 day or 5 day program from 2:15 – 6 p.m. and on minimum days starting at 12:35 p.m. Success Chess School offers an after school program for chess. Visit Success Chess School to learn more information or to register your child for this program. Meeting Time: Thursdays, 12:40 - 1:40 p.m.
Choir is open to all students in grades 1-4 who want to share their singing talents. Choir directors will lead a fall choir in weekly practices right after school. The fall choir culminates with a holiday performance in December. Registration information will be sent home with students when this program begins and will be posted on our home page at that time. Meeting Time: Tuesdays, 2:30 - 3:30 p.m.
Primary Programmers offers beginning and advanced basic programming classes over 8 weeks to 4th - 6th graders. In this class, students learn basic programming concepts using a standard programming language, such as Java. From variables and data types to loops and arrays, students will learn basic algorithm development based on simple mathematics. As students continue to develop these skills, the instructors will present more challenges in new and exciting and fun ways. Primary Programmers classes are taught by Silver Oak parent Attila Lengyel, lengyel.attila.antal@gmail.com. Meeting Time: Tuesdays and Thursdays, 7 a.m.
Students can sign up to play flag football or learn cheerleading for 1 hour after school each week. For information on how to register, email xfityouthsports@gmail.com or visit Extreme Fitness and Sports. Meeting Time: Thursdays, 12:40 p.m. - 1:40 p.m. The two words that best describe Girls on the Run are FUN and RUN. Every aspect of this program is geared toward helping girls feel good about who the are -- physically, emotionally and socially. This 10-week spring session from March - May is an esteem-building program set to inspire girls to be joyful, healthy, and confident using a fun, experience-based curriculum with creatively integrates running. Girls on the Run is open to all 3rd - 6th grade girls. Practice starts in March and ends in May with a 5K run/walk event in Vasona Park in Los Gatos. Registration is in December-January and space is limited. For more information or to register your daughter, see the Girls on the Run website. Meeting Time: Mondays, 2:15 - 3:30 p.m. and Thursdays, 12:35 - 1:50 p.m.
Mad Science offers hands-on, one-hour after school science programs themed around a particular area of science. Topics include such areas as rocketry, magnets, polymers and even the science of toys. Children engage in exciting hands-on activities, watch spectacular demonstrations, participate in inquiry-based discussions and take home things that they have made themselves like model rockets, periscopes, Mad Science putty and more. Mad Science after-school programs offer children a chance to see just how cool science can be! Classes are offered in 8 week sessions. Fall Program - Sept. to Dec.
Visit the Mad Science website for more information, or to register online. Meeting Time: Tuesdays, 2:25 - 3:25 p.m.
1st - 6th graders can learn how to read music notes, rhythm and how to play the piano or keyboard. To enroll leave your child's name, school and your contact number at maestrodarrell@sbcglobal.net. Or call Darrell Leffler's Academy of Music at 408-251-8509 for more information. Meeting Time: Tuesdays, 2:15-3:05 p.m. Cost: $50 every 4 weeks (3 payments) or $135 if paid in full on first day plus $7.50 for Piano Book. This popular international not-selective competition in mathematics is for students in grades 1 through 12. It is organized by “Kangourou Sans Frontiers” with the aim of promoting mathematics among young people around the world. Each participant is seen as a winner and receives recognition and gifts on the test day in March. Those who achieve the top results are awarded in May. The competition consists of a 75 minute multiple choice test with 24 to 30 questions of increasing difficulty that challenge students through posing interesting problems. Math Kangaroo helps the students both to develop their skills and to enjoy mathematics even more. Silver Oak is an exam center for Math Kangaroo and this competition is open to Silver Oak students only. For more information about this program, visit the Math Kangaroo website or contact Silver Oak parents Mary Liau and Geraldine Goh at silveroakmathkangaroo@gmail.com. The highlights for students are the five monthly contests, given from November to March. No traveling is required. These contests provide an incentive for students to intensify their study of math. Registration is in the fall. For more information about this program, visit the Math Olympiad website or contact Silver Oak parents Mary Liau and Geraldine Goh at silveroakmoems@gmail.com. Silver Oak students have the opportunity to participate in theater arts through our school plays. The upper grade play takes place in the fall and lower grade play in the spring. More information about registration, auditions and rehearsals will be posted on the front page of the school's website. Meeting Time: Rehearsals are usually 1-2 times per week from 2:30 - 4:30 p.m. The Silver Oak Robotics Club is an extracurricular club for 5th and 6th grade students who are advanced in science or interested in learning more science. Students learn how to build, design, and program Lego Mindstorm NXT robots, and participate in robotics competitions at school. Students also learn about different areas in science and do hands on experiments and activities. The goal of this club is to give students a chance to explore the field of science and further develop their interest/knowledge in this area. Space is limited. Applications are sent home in the fall. Students in the Writer’s Workshop Course will improve their writing abilities in the small group environment. The program will feature differentiated material aligned with Common Core standards and individual attention from an expert teacher. The lessons will cover writing topics including writing conventions, organization, fluency, word choice, voice, grammar, and much more! The classes will take place on the campus of Silver Oak Elementary. If your child has already taken a writing course with Silver Creek Academy, they are welcome to sign up again since the material is new, and will not repeat. Meeting Time: Thursday 12:40 -1:40 p.m. Tuition: $110 per month. Two months payment is required at the time of enrollment. A 30-day written notice must be provided if discontinuing the course. Kinder Time - 11:25 a.m. - 2:15 p.m.
Afterschool - 2:15 p.m.- 6 p.m. 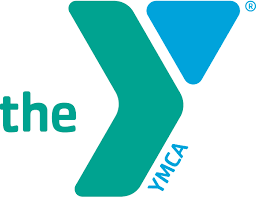 Please contact the YMCA Child Care Center for more information by calling 408-223-4524 or visit the YMCA website.